Newspaper report published Thursday, September 13, 2001, in Dawson Springs, Kentucky. The 9/11 truth movement began with family members who dealt with officials like that: dilatory officials who were dishonest, unforthcoming, deceptive, unresponsive and, in the end, unsympathetic. When the victims’ families would not give up, the president chartered the 9/11 Commission more than fourteen months after the attacks. 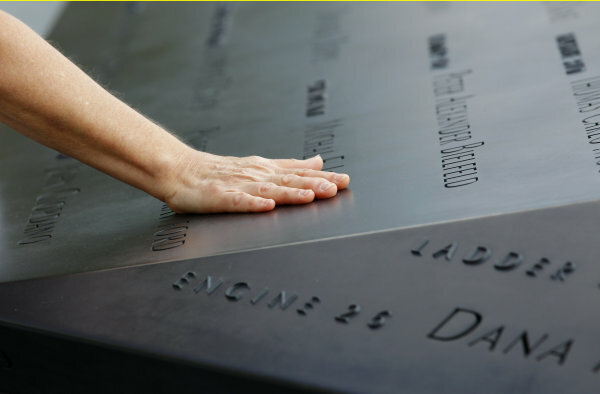 The Commission submitted its final report nearly three years after September 11, in 2004. To show his level of support for the body he formed, the president would not speak with the Commission for the record. He did not give a reason. Anything he had to say would be privileged and private. If the president would not cooperate with the Commission, who else in the government would? By his example, the president told everyone in government to treat the Commission the same way they had treated the victims’ families. If you find out the truth, you didn’t hear it from us. Today the 9/11 truth movement continues to comprise men and women who just want to know what happened, not extremists who pose a threat to our fair country. They pose a threat only to people in government who are complicit in government’s crimes. Cass Sunstein, a well intentioned law professor who happened upon a position of responsibility serving this group of organized criminals, called people in the movement epistemological cripples: people so unbalanced and dangerous that government law enforcement agencies should infiltrate their groups to destroy cohesion, spread rumors and lies, sow conflict, and disrupt their effectiveness. That is how a government official responds to people who just want to know how their dad or their mom wound up buried under a thousand tons of rubble, with molten steel flowing around their bodies. Sunstein ridicules parents who reject lies and excuses when they ask simple questions about why their sons and daughters died. He devises deceitful, aggressive strategies to derogate and destroy spouses who simply want to know what happened to their wives and husbands. Instead of honest, soundly researched answers, we have a Commission report so poorly assembled that no sixth grade science student would turn it in. The difference between Lyndon Johnson and George W. Bush on the matter of investigations is that Johnson launched the Warren Commission right away. If it had been up to George W. Bush, we would have had no 9/11 Commission at all. He persistently opposed any investigation, and only authorized one after Congress passed the required legislation and sent it to the White House for his signature. Since he did not explain why he resisted an investigation for so long, we can only guess. Vice-President Cheney pleaded that an investigation would distract from the administration’s Global War on Terror.